by Liz Dawn We are so pleased to share with you our brand new sponsor for the Women’s Summit, Women For One! Founded in 2011 by teacher and author Kelly McNelis, Women For One reaches more than 630,000 women from over 60 countries across the world who follow Women For One on Facebook, Twitter, Instagram, and Google+, in addition to the 35,000 unique visitors per month that our website currently receives. Women For One is a global community that supports women in sharing their stories, claiming their voices, and making life happen on their own terms. Kelly and her team advocate for women who are ready to step up, speak out, and shine—while expressing themselves with vulnerable transparency. They are passionate about community, connection, collaboration, and creating the lives we want as women. They believe that when women become clear about who we are, boldly claim our passion and purpose, and encourage each other to shine, we create supportive communities where all our voices matter. In addition to offering a digital platform for women to share their written stories, Women For One has created powerful resources that foster women’s leadership and self-expression. Their interactive courses give women tangible tools to increase their leadership skills, embrace their stories, accept all of who they are, expand their communication skills, and take action to make life happen. Women For One also offers their signature community-centered event, the Truthteller Tour, as well as in-person workshops and corporate training across the country, free ebooks, and inspiring daily newsletters. 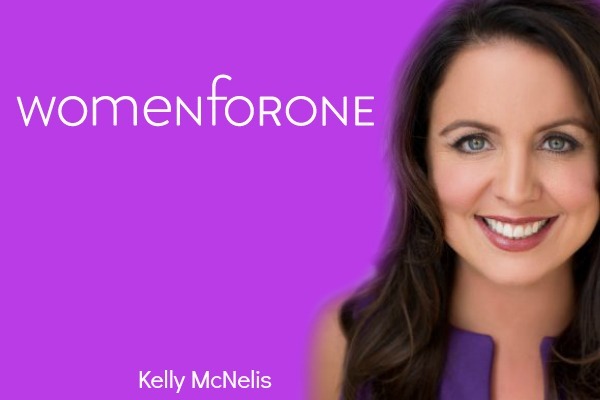 In addition, Women For One hosts a popular podcast, Your Messy Brilliance® Show, in which Kelly shares the insights of bold leaders who aren’t afraid to make a little mess. To date, Kelly has interviewed dozens of powerful changemakers, including the late Dr. Maya Angelou, Marianne Williamson, don Miguel Ruiz, Byron Katie, and Roshi Joan Halifax. Many of our Featured Truthtellers on the show also include this year’s CYL speakers, including Christiane Northrup, Glennon Doyle, Sunny Dawn Johnston, and soon, I will be interviewed!